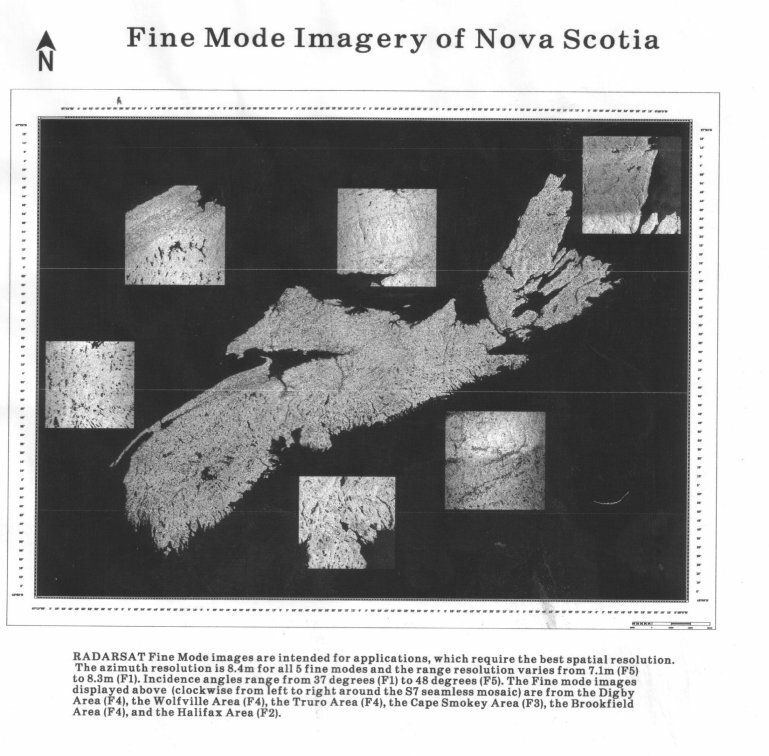 This poster is of a mosaic of multi-temporal infra red LandSat imagery of the Annapolis Valley in Nova Scotia. The top image is a false color composite (FCC) using LandSat bands 7,4 and 3. 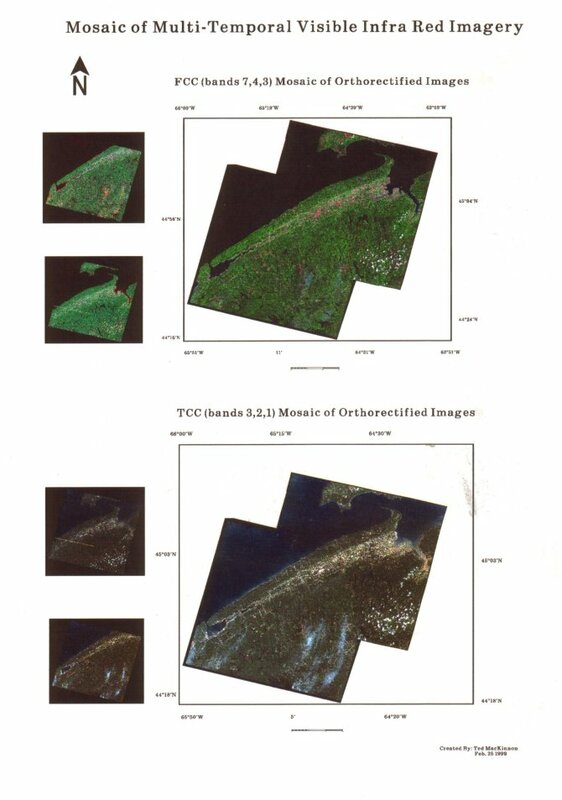 The bottom image image is a true color composite using LandSat bands 3,2 and 1. It was one of the first image mosaics that I ever created with PCI orthoengine while studying remote sensing at COGS in 1999.